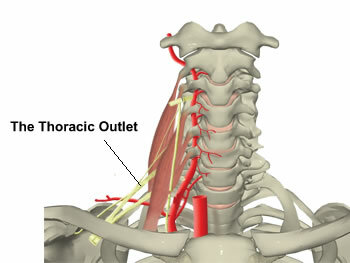 Thoracic outlet syndrome is defined as compression of neurovascular structure (blood vessels or nerves) at the thoracic outlet. This condition can lead to pain in the neck and shoulder, numbness or tingling of arm and finger. – Pain in the arm, which is shooting or burning. – Tingling and numbness in the arm. Very rarely if the subclavian artery is compressed, stroke is a possibility. Treatment for thoracic outlet syndrome usually recovered with physiotherapy. If symptoms are worsening and severe after physiotherapy, surgery may be required. At heal360 Physioclinic, our therapist will assess your condition and implement the best fastest effective treatments for your conditions.